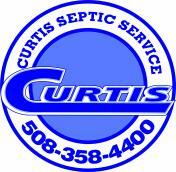 Curtis Septic is one of the most trusted, experienced Massachusetts Title V Inspectors in the Phillipston area due to our Honest, Integrity and Experience. We are Licensed by the Local Board of Health in Phillipston, Massachusetts and provide the most affordable Title 5's. Curtis Septic Service has been in business for over 30 years and has performed thousands of Title 5 Inspections. We're fast, efficient and can help you through the process. Over 30 Years of Experience as a leader in septic system inspections. "Curtis Septic was the most affordable Title 5 Inspector I could find. The Inspector which came to my house did the job very quickly and was very professional and courteous"
Tips on "How to Treat Your System"
Curtis has the most qualified team of Title V Inspectors in the Phillipston, MA area offering affordable inspections with same day report capabilities. Our inspector perform an honest, accurate inspection. If repairs are needed, Curtis can provide the most cost-effective remediation. Homeowners wishing to sell their home in Phillipston must have a Title V Inspection. Once this is accomplished, you sell your home!